The studio bar will be open from 5pm. As contemporary cultural production increasingly happens online or involves networked technologies, questions arise regarding the preservation and future accessibility of this new type of cultural material. The established concepts and practices of traditional memory institutions such as museums and archives are no longer able to address the specific requirements of artefacts whose materiality is radically different from that of physical objects. Various research initiatives have identified the need to redefine paradigms for the collection, curation and preservation of born-digital artefacts. 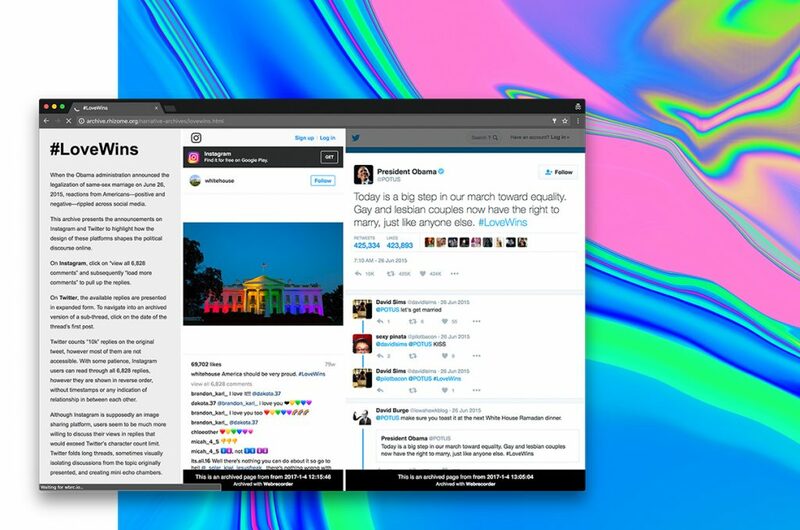 One of the key organisations currently developing new tools and strategies aiming to preserve the social context of the internet is New York-based arts organisation Rhizome. This talk will present findings from a collaborative research project between Rhizome and the Centre for the Study of the Networked Image based at London South Bank University. Lozana Rossenova is a London-based designer and researcher. Her design practice focuses on new approaches to sharing and archiving information through online & offline channels alike. Lozana is also a PhD candidate at the Centre for the Study of the Networked Image and her research is a collaboration between London South Bank University and Rhizome in New York.